Artist David Shillinglaw is as comfortable in the street as in the studio, as likely to paint on found objects as on canvas, as interested in tiny hand-made artist’s books as in large-scale public murals. His mural in the Olympic Park in East London is the longest mural ever commissioned in Great Britain, while his brilliantly inventive creations enliven construction hoardings throughout London’s changing cityscape. 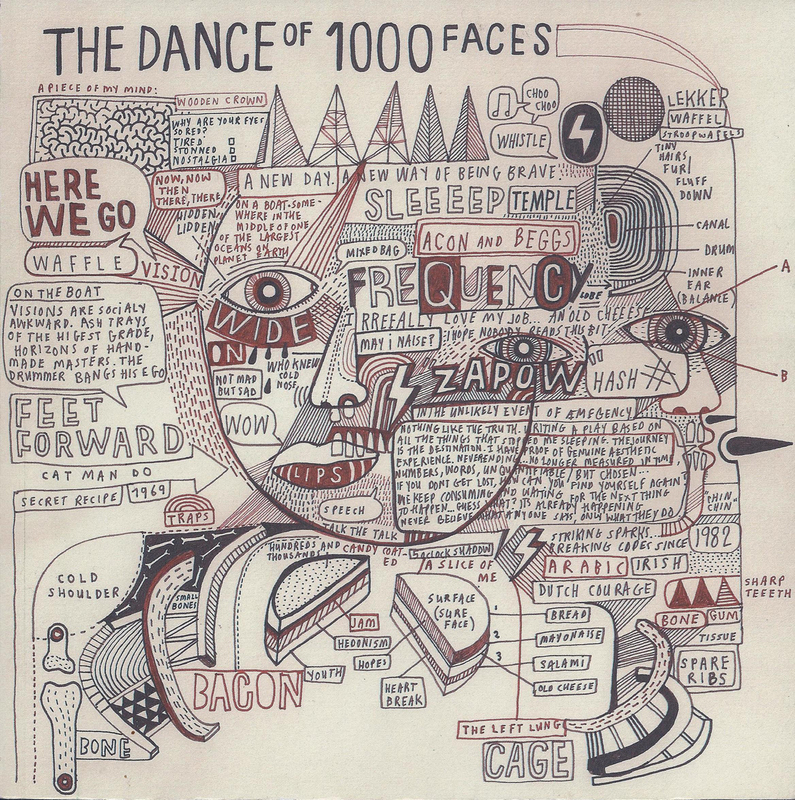 The Dance of 1000 Faces is the first book to gather a significant number of Shillinglaw’s works. It presents his art in full color in all its many forms: not only paintings and murals, but journals drawings, sketches, and more. It reveals Shillinglaw’s particular genius for depictions—and distortions—of the human face, grimacing and grinning, shifting and shaping as it becomes no one and everyone at once. A major celebration of an artist who is as engaging as he is innovative, The Dance of 1000 Faces will thrill Shillinglaw’s fans—and is sure to bring him many new ones as well.